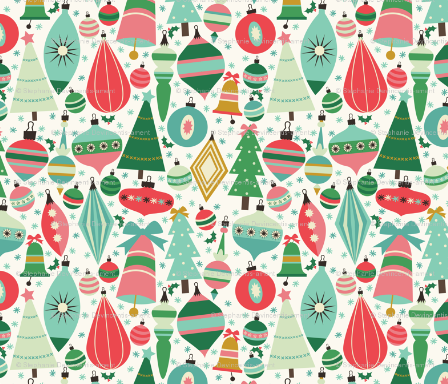 Funky, classic and reminiscent of Christmas cards of the era, this kitschy train wrapping paper adds the right amount of nostalgia to any gift. 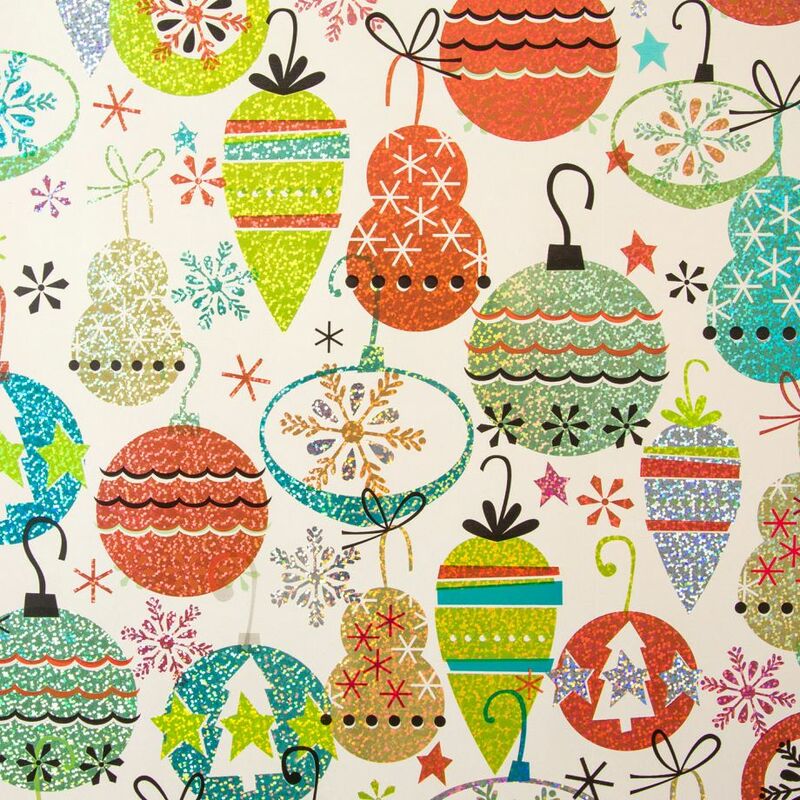 Full of the typical ornament shapes and colors, the Christmas Baubles in Pink wrapping paper is that perfect graphic touch to the packages beneath your tree. Mixing bowls and bakeware are fabulous enough as is, but the Christmas variety always add a funky midcentury vibe to the kitchen. 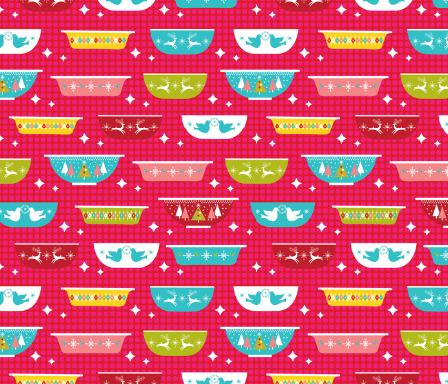 If you or your gift’s recipient is obsessed with midcentury kitchenalia, the Christmas Dishes wrapping paper will hit the spot! 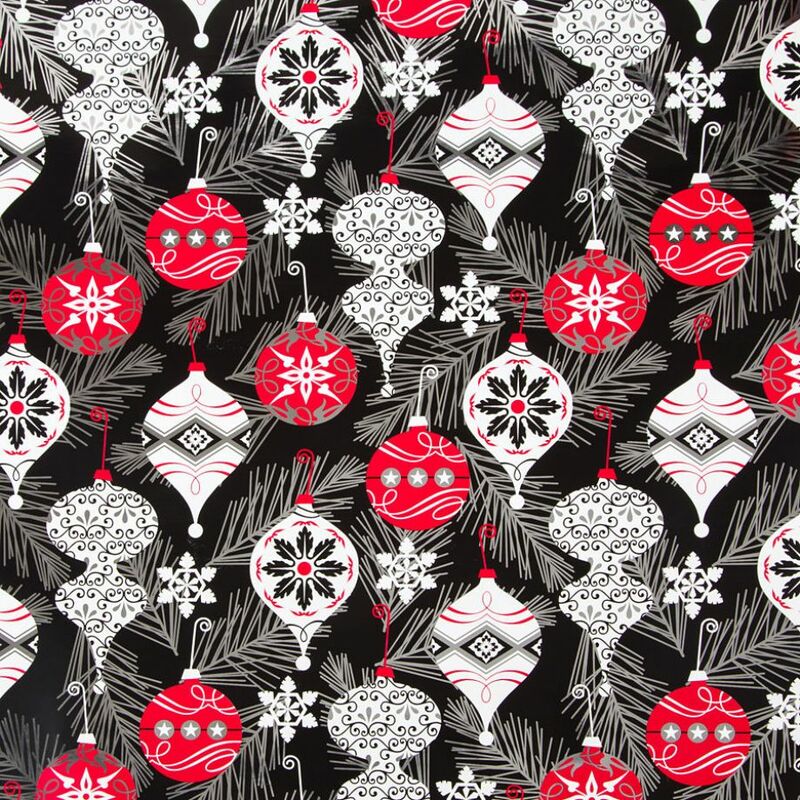 Black is a fairly bold choice for a midcentury Christmas gift, but we love the branches and ornament shapes on this Elegant Ornaments Roll Wrap! 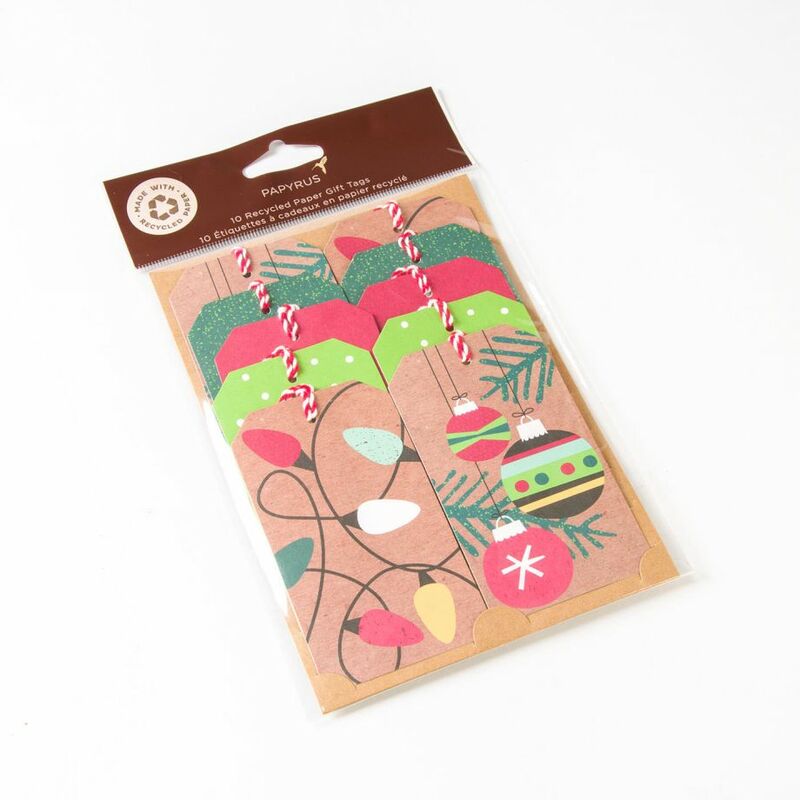 For that retro sparkle that adds that funky Googie vibe, you can’t go wrong with this Trendy Foil Ornaments Roll Wrap! 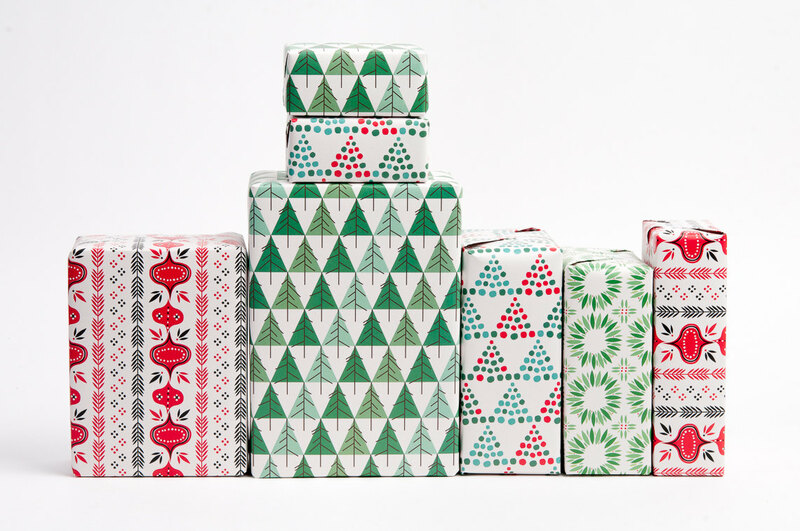 Simple yet wonderfully designed, this set of Midcentury Modern Christmas Gift Wrap is a great basic paper to add to your retro wrapping paper stash. 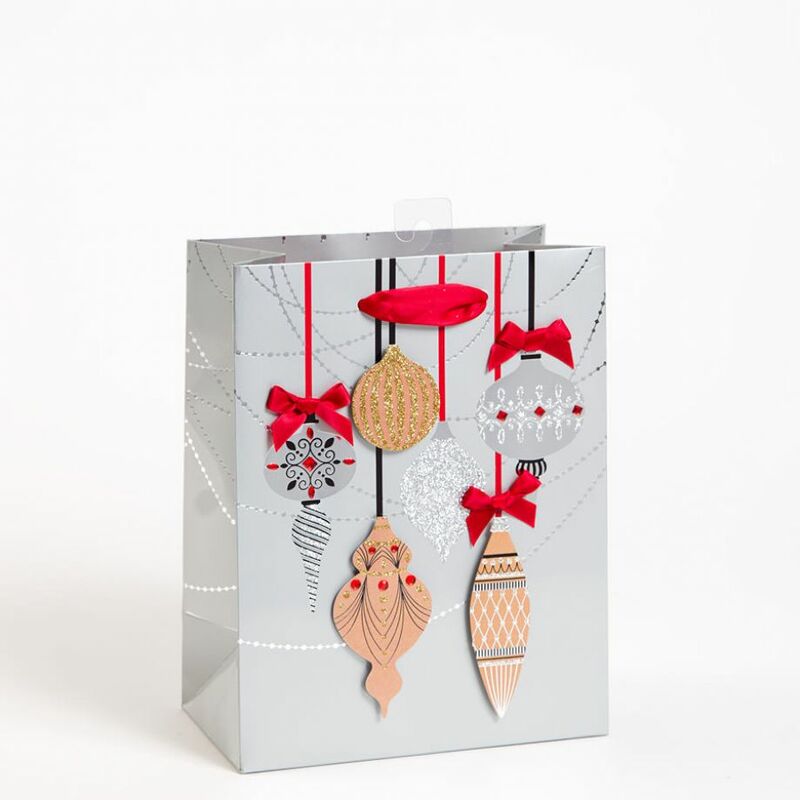 Although it has a slightly more traditional feel, the classic shapes on this Silver Holiday Treasures Gift Bag conjure a midcentury feel. 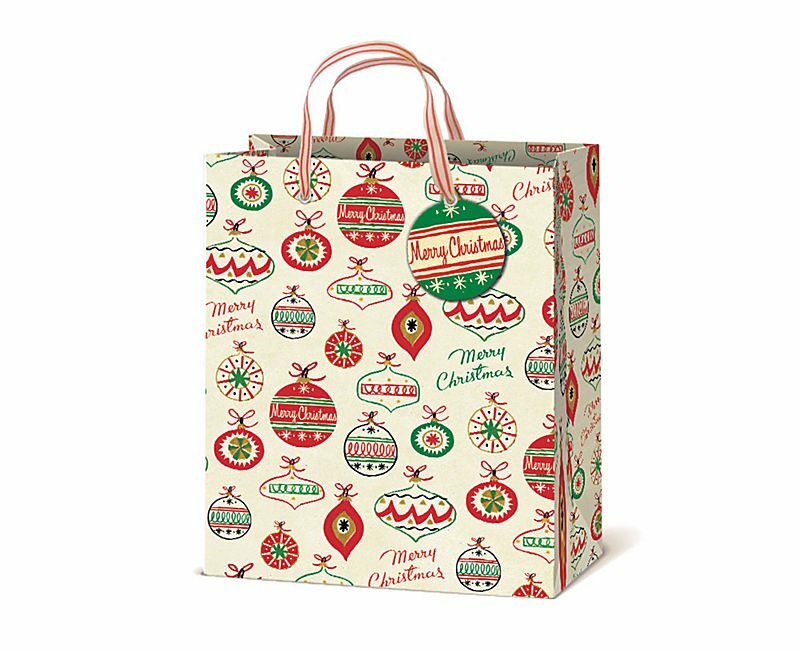 With adorable hand-drawn ornaments and classic color scheme, this Vintage Christmas Gift Bag looks like it came down from the attic with the rest of your vintage décor. 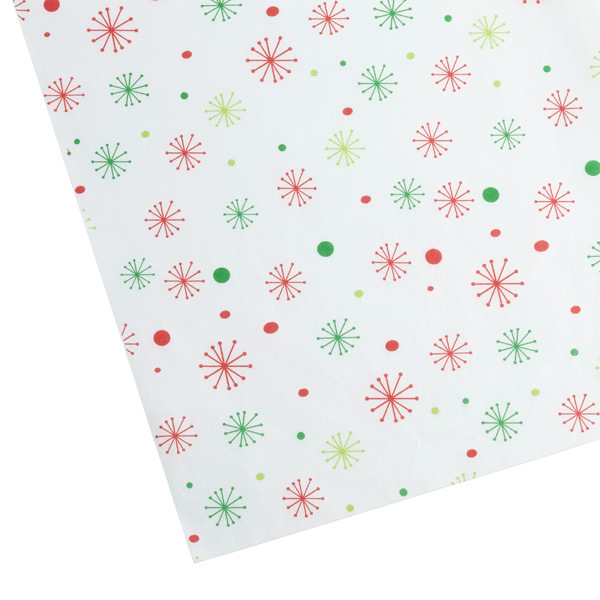 You can’t put a gift in a bag without tissue, and this Snowflakes Waxed Tissue feels super sputnik-y to us! Whether you’re tying your bag up or wrapping a box, the right ribbon can make the whole thing come together. 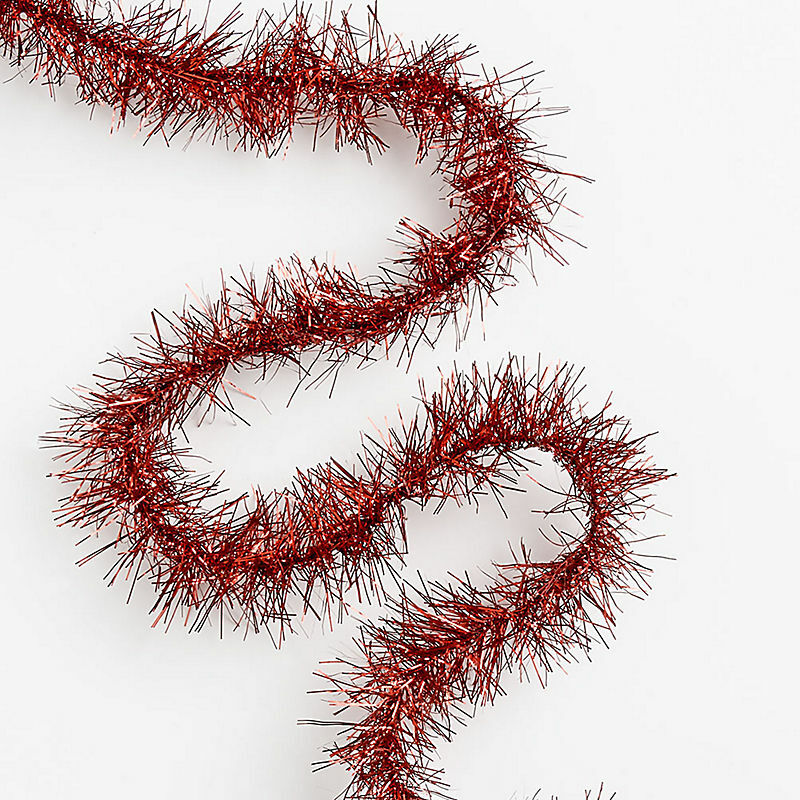 This Classic Red Tinsel Ribbon is totally classic (and it even matches your tree!). 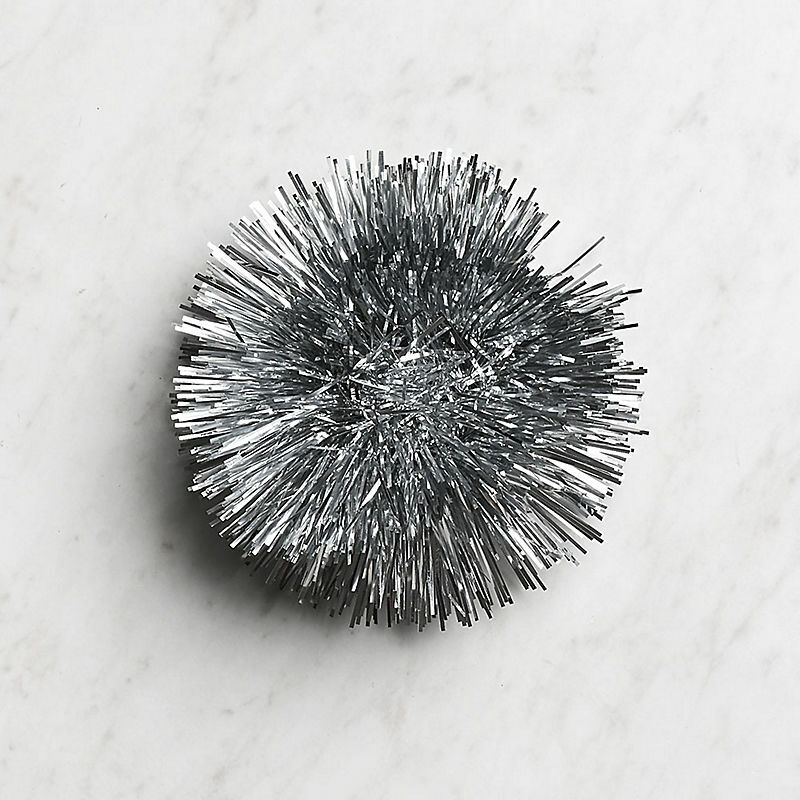 Whether it’s for the tinsel look or the starburst appeal, you should adorn every gift with this Silver Tinsel Bow! 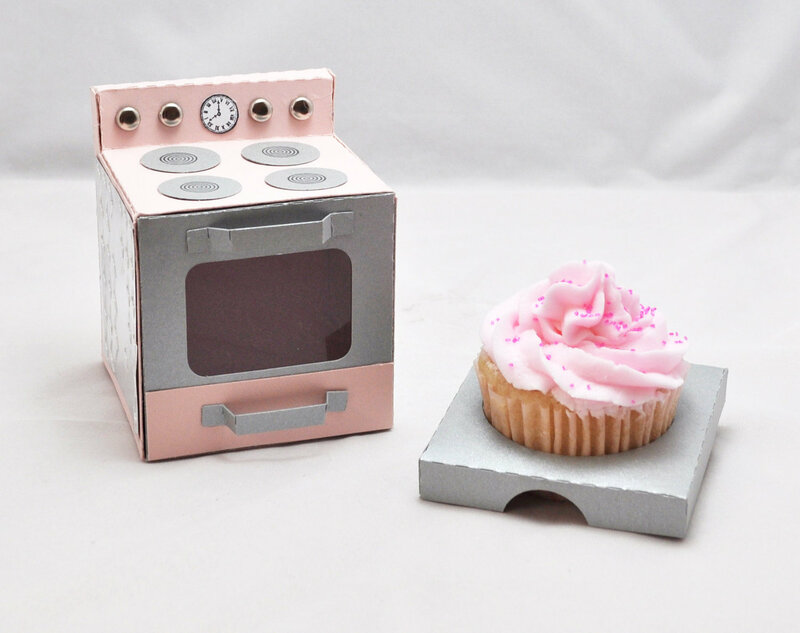 The final touch of your gift is the perfect tag to keep your gifts organized. Graphic and full of MCM iconography, these Eco-Friendly Be Merry Luggage Gift Tags are a must.